Share activities, and earn nothing. You will earn 88 TIIM (equal to US$1) for submitting your travel plan. Submit your proof of travel after the trip to earn 352 TIIM more (~ US$4) for every plan you create. Travelers can receive directly offers from suppliers (tour guide, restaurant, hotel etc) without the bridge of middleman such as commission of travel agent, advertising fee. This allows travelers to get the best offers with the best price from travel suppliers. 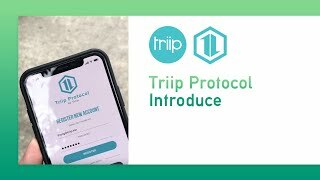 Triip Protocol creates the new way of mining in travel. Travelers can mine our proprietary currency TriipMiles from sharing their own travel activities such as providing travel plan, reviewing tours and check in their destinations. They will take control their activities within the Triip Protocol. They know how much of it is released to our network and be rewarded proportionally. 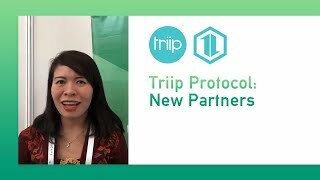 We empower travelers to become a co-builder of Triip Protocol's growth. They can contribute to our economic system for what they want to experience about their own future world. Travel businesses reach travelers at the stage they submit their travel plan. Triip Protocol has the advantage about reducing cost of customer acquisition and conversion rate through a peer to peer referral system. Booking fees are currently inflated to factor in the cost of customer acquisitions and expensive marketing budgets. The Triip Protocol offers the opportunity for richer client interactions at a lower cost than conventional marketing. Our current payments infrastructure incurs a 7 percent fee on each transaction, which we need to serve payment processors, currency conversion fee and foreign payment fees. By eliminating these intermediaries, the Triip Protocol can reduce the fee per transaction to just 3.99 percent on payments with fiat currency, and one percent on payments made with TriipMiles. This results in a larger profit per transaction for our partners, and those purchasing or selling goods and services through Triip. Triip’s Future - The largest sustainable travel eco-system focuses on job creation, cultural immersion and eco-friendly impact. To pioneer forward-looking business models advancing the vision of an industry wide transformation: sustainable travel for the world. Triip PTE LTD - a sustainable travel tech company licensed by Singapore Tourism Board. Our vision is to pioneer forward- looking business models advancing the vision of an industry wide transformation: sustainable travel for the world. The world’s first affordable smart water refill station network to reduce plastic bottle usage backed by United Nation. Our B2B2C blockchain platform, allows all travel industry players to join a unified network to enjoy the benefits of the ecosystem. Largest accomodation service in the world. With 28,463,239 listings include 5,762,799 listings of homes, apartments, and other unique places to stay, and are located in 144,431 destinations in 229 countries and territories. 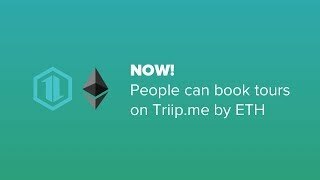 Private & Pre Sale:TOMO,ETH, USD. Funded by GaiaX Global Marketing & Ventures Pte Ltd.
We're bringing 2 new blockchain currencies online in our network. Chief Investment Officer, Former Partner at XSQ. Experienced in investment origination, Joel was an banking professional at Standard Chartered and Maybank by advising corporate clients on strategic transactions and capital raising. 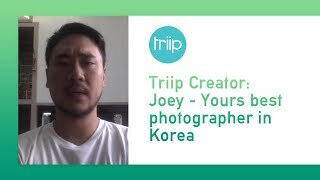 VP Asia Pacific at AppCoins and Aptoide (Android Store with 200M users). Dr. Mario Hardy has more than 30 years of experience in specialized aviation businesses, coupled with several corporate leadership capacities. CEO of TomoChain and TomoChain Project Lead, co-founder and the former project lead of very successful NEM blockchain (New Economy Movement). PhD candidate in economics. Brian leads the product team at TaskRabbit, as a technical co-founder, build & launch the TaskRabbit platform. From this experience, he has become an expert on marketplace interactions and payments. Forbes Asia 30 Under 30. A serial tech entrepreneurs with Forbes and Ernst and Young awards, he is CEO and co-founder of PicMix and PlayDay, a live streaming content distribution platform with 35 million-users worldwide. Hai’s decade of startup work began as a student. A high impact entrepreneur has focused on identifying opportunities like payment gateway products, social networks and wearable hardware. Kent previously worked with ride hailing behemoth Grab where he worked as head engineer. As CTO, Kent's work is strengthen the relationship between Triip's business needs and tech capabilities. Paul's 20 years of finance experience includes posts at HSBC where he ascended to vice president of the bank's mortgage sales department. A trained banker and auditor, Paul is Triip's finance lead. An advisor to the Lee Kuan Yew School of Public Policy and a former U.S. Navy SEAL, Yap act as a principal on Triip's leadership team as co-founder. 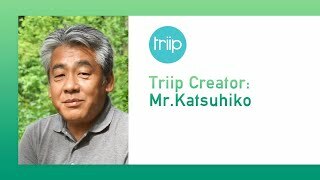 Ha's decade of travel industry experience culminated in the co-founding of Triip. A passionate and devoted COO, the company was in part founded on the sale of her home. Triip's CSO Stacey is a serial entreprenuer and investor with 16 years of experience in market expansion. She is currently working on implementing blockchain policies of the Triip Protocol. Phuong is an experienced, hands-on marketing professional with more than 8 years in digital marketing. Ahead of Triip's initial coin offering next year, she is leading it's marketing strategy. 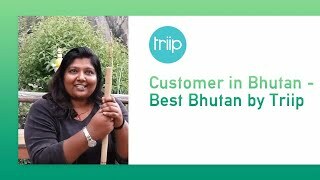 Triip offers the combination of hotels and, local experiences. This combination is a key point of competitive differentiation. There are innumerable big tour companies in the world, operating at both the international and local level. However, the list of companies offering unique tours by locals is considerably smaller, with only a few major players. The reason for this is an inventory of such tours is hard to aggregate, because – unlike hotel rooms and airline inventory – the tour space is one of the last segments of the industry to fully succumb to digital distribution. What is TriipMiles - TIIM token and why should I care? TriipMiles is the main utility token in the Triip Protocol, used to exchange data and value between Triip Protocol smart contracts, travel businesses, travellers and locals with a network of partnerships in 229 countries. TriipMiles (TIIM) can then be used to reserve 28,859,813 listings include 5,539,347 listings of homes, apartments and other unique places to stay and get 5% rebate in 137,678 destinations in 229 countries and territories. In addition, travellers can use TIIM to buy one of the 6,000 one-of-a-kind tour in 100 countries, global wifi data in 131 countries or purchase in-room entertainment as well as book local transportation… and more. Where do I store the TIIM token? Your TIIM tokens will be stored in Triip Protocol wallet app. Is there a private sale, and does it include a discount? Is it safe to share my data? Customer and Retailer can access the encrypted respective private data by using their data hash to read the encrypted private data from the decentralized data storage, through the data access control layer. Once received, the encrypted data can be decrypted by using the respective private key of Customer and Retailer. Any unauthorized actor to the private data, i.e. the advertiser, can read the encrypted data but cannot decrypt it, thus privacy is guaranteed. How do I get TIIM token? Providing the services at Triip Protocol’s system to get the payment in TIIM token. For the public sales, you must pass the KYC process. Our ICO is not available for the citizens from USA, North Korea, and China. For more information, please read more at the LEGAL DISCLAIMER in the White Paper.